1. Place the meatballs into a slow cooker. 2. 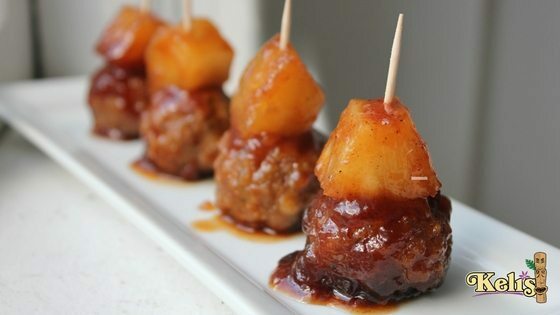 Pour Keli’s Pineapple Hawaiian LuauTeriyaki and the pineapple chunks, undrained over the meatballs and stir to combine. 3. Cover the cooker, set to high setting and cook until the sauce is thickened and the meatballs have absorbed the sauce flavors., 2 to 3 hours.